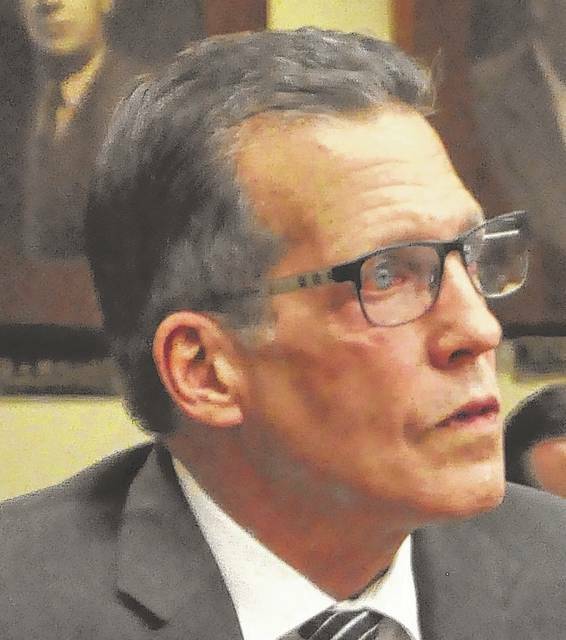 The sentencing hearing for a former municipal court judge who was found guilty of tampering with evidence and theft has been continued to Thursday, Dec. 21. Michael C. Hoague was found guilty Nov. 17 on one count of tampering with evidence, a third-degree felony, and one count of theft, a fifth-degree felony. A sentencing hearing for Hoague was scheduled for Dec. 20 at 11 a.m., but on Dec. 19 the hearing was delayed to Dec. 21 at 10 a.m.
On Dec. 8, Hoague’s attorneys, Ian N. Friedman and Mark R. Devan, filed a motion for acquittal on the two charges, arguing that the state failed to offer evidence of deception and that the state failed to unequivocally prove that Hoague intended to defraud anyone, which is an essential element of the tampering with records charge, they said. Last Friday, Assistant Attorney General Brad L. Tammaro, responded to the motion and stood by the evidence in the case, arguing that it was sufficient for a conviction.